I'm back from my two week vacation! We had a great time visiting family and seeing many historical sights. I think I almost caught up with my laundry as well. We are also back to doing some school. My daughter loves Robert Munsch, and I let her choose the stories we read together. So this week"s book talk is about Jonathan Cleaned Up--Then He Heard a Sound. In this great story, Jonathan is left in a sparkling clean living room. When all of the sudden, he hears a sound. The wall opens up, and a train full of people walk through his living room. This happens several times, until Jonathan decides to talk to the Mayor about the situation. Well the mayor is no help at all! Jonathan finally comes across a very old man who happened to be the computer of the town. (The actual million dollar computer didn't really work, so the old man ran the city.) 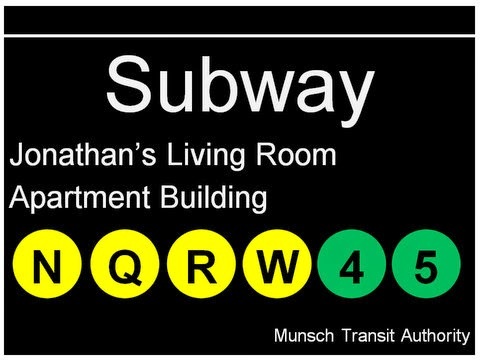 Of course in Munsch style, Jonathan changes the subway station from his living room to the mayor's office. Who would build an office at a subway stop? 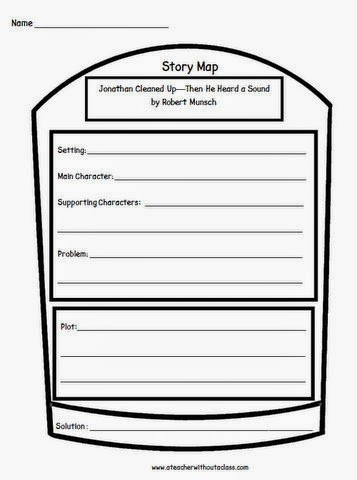 I created this story map to go along with the book. I really love doing the Story Maps. You can find this Story Map here. I also make these subway signs. They are based off the signs in New York City, but you get the idea! 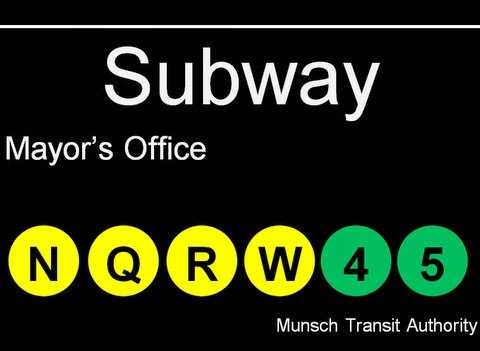 I made these Subway signs, just for fun! Although they never seem to get on the train at his house, only get off. But that again is the beauty of a Munsch story! Where would you want the last stop of the train? Definitely not my living room, although you would think it might be! 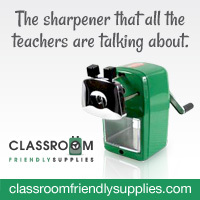 Happy Summer, and make sure to link up with Mrs. Jump for more exciting book finds! Robert Munsch is always a hit with kids.